Home › Blog › Homeschool writing—overcome the obstacles and accomplish your shoulds. 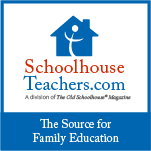 Homeschool writing—overcome the obstacles and accomplish your shoulds. We've heard all the obstacles. And we know they are real! I'm a math and science person. Writing doesn't come easily to me. So we skip it. My kids hate writing. It's like pulling teeth! I avoid the battle altogether. I have no idea how to grade my children's writing. So I don't. We do a little creative writing and report writing here and there. I know it's not enough, but I don't really know how to teach writing in a comprehensive way. I have great plans, but they never seem to come to fruition. I'm not good at spontaneously adding writing to our other lessons like history and science. I know I should teach more writing. My kids are now in middle school, and they still can't write a decent essay! We should spend more time on writing. I just don't know where to start. I get overwhelmed. Now, here's the solution: Use a well-crafted writing curriculum that guides you day by day, step by step exactly how to teach your children or teens. You've probably tried those intense writing programs based on classical ideals and ended up throwing up your hands on frustration. Too much, too fast, too complicated. It doesn't have to be that hard to consistently add writing to your homeschool day. WriteShop is laid out in reasonable lessons—a reasonable amount of work presented in an enjoyable way. You can do this! You may purchase WriteShop digital and print products directly from WriteShop's site and we will receive a small commission at no extra cost to you. We do offer WriteShop print products here at Yellow House Book Rental. By ordering directly from us, you will receive free shipping and our customer support as well. In honor of WriteShop's 17th birthday, they are having a sale during January 2018. Digital sets* are already discounted at 17% off. Hard copies of WriteShop are available for rent and purchase. FREE shipping on all WriteShop products. *Video courses are not included in the 17% off sale.